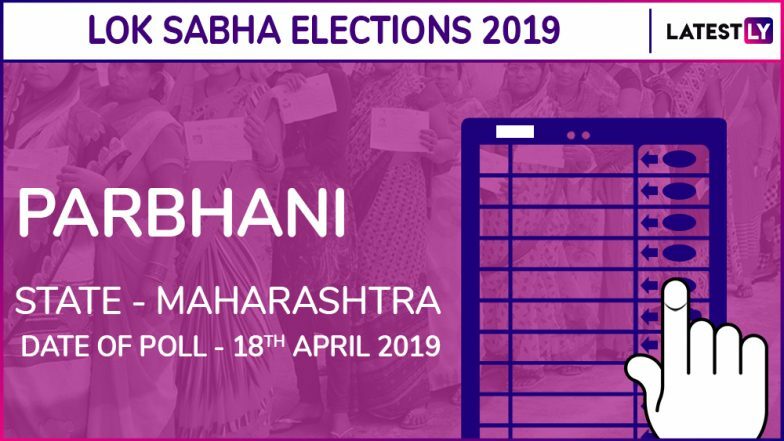 Mumbai, March 23: Polling for Lok Sabha election in Parbhani parliamentary constituency of Maharashtra will be held on April 18 in the second phase of general polls. The result of Parbhani Lok Sabah election will be declared on May 23. In Parbhani, the electoral contest is between the Shiv Sena and the Nationalist Congress Party (NCP). Shiv Sena leader Sanjay Jadhav is the incumbent Member of Parliament (MP) from Parbhani Lok Sabha seat. Shiv Sena has renominated Jadhav from Parbhani constituency. To wrest the seat, the NCP fielded Rajesh Vitekar. The process of filing nomination for Parbhani Lok Sabha polls began on March 19. The last day for nominations was March 26. Scrutiny was done on March 27 and the last date for the withdrawal of the nominations was March 29. Maharashtra Lok Sabha Elections 2019 Dates: Constituency-Wise Complete Schedule Of Voting And Results For General Elections. The Shiv Sena and BJP are contesting 23 and 25 seats respectively of the total 48 Lok Sabha seats in Maharashtra. The Congress also has a tie-up with the NCP and other regional outfits. Check Full Schedule of Lok Sabha Elections 2019. In 2014 Lok Sabha elections, the BJP and Shiv Sena contested in an allaince and bagged 23 and 18 seats respectively. The Congress won only two seats and NCP just four. Lok Sabha elections will begin on April 11 and will be held over seven phases across the country followed by counting of votes on May 23. Game of Thrones Season 8: Why Gendry Might Sit on the Iron Throne as King of the Seven Kingdoms?